Jan 3 releases UNDER THE NEVER SKY, CINDER, CRACKED & CABINET OF EARTHS! Four of my wonderful Apocalypsie sisters have their debuts coming out tomorrow, January 3. 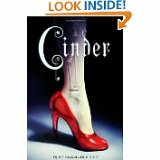 Under the Never Sky by Veronica Rossi, Cinder by Marissa Meyer, Cracked by K.M. Walton, and Cabinet of Earths by Anne Nesbet (middle grade). Three of the titles all begin with the letter “C.” What are the odds? UNDER THE NEVER SKY by Rossi is a dystopian, post-apocalyptic romance that everyone is talking about. The tagline says it all: “A million ways to die, one way to live.” Ooh, gives me chills. Definitely right up my alley. This will be big so get it now before everyone is talking about it. And to top it off, Veronica is one of the nicest people ever. CINDER by Meyer – if you haven’t heard about this one yet, you must be dead. It’s that cover with the red shoe and an x-ray vision picture of metal bones under the skin. Cinderella as a cyborg. LA Times just did a long review praising it in their Jan 1 calendar. Great trailer! I am so excited about this book. UPDATE: A NYT BESTSELLER! CRACKED by Walton is a book much needed. Taken from Amazon: “In this gripping debut, a teen takes a bottle of pills and lands in the psych ward with the bully who drove him to attempt suicide.Victor hates his life. He’s relentlessly bullied at school and his parents constantly ridicule him at home.” What a great concept and boy, can I see the movie. She also has a great contest on her site with a great cash prize for a book trailer. If you know any budding filmmakers, or just friends with video cameras, let them know. CABINET OF EARTHS by Nesbet is a middle-grade book in the tradition of a brother and sister off on a magical adventure. This is perfect for young readers who loved HUGO and want more. “Blending elements of magic, science, and even horror with evocative prose and a confident narrative voice, Nesbet immerses readers in her contemporary Parisian setting.” (Publishers Weekly ). This is getting fabulous reviews and looks like a timeless treasure. How to buy these wonderful books? If you are going to their launch parties, buy it there. Otherwise, you can pre-order now at Barnes & Noble, or your favorite indie bookstore, or through the Amazon links (which I just did quickly). The books may be in the bookstores today, as they are often put out early. If you want a kindle or e-book version, check the link to see when they are available. If you know me, you know I am under incredible deadlines to write book 2 and a polish of a secret project. German television comes next week to do an interview and I have to shoot video for my Dutch publisher. I will start blogging for The League of Extraordinary Writers. I’m blabbing about myself to explain why these books will be at the top of my to-read list when things calm down.